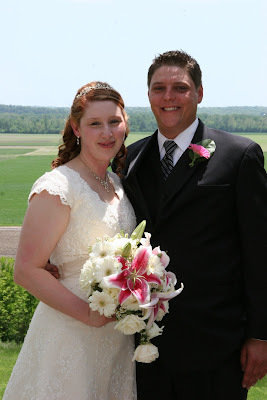 Take a peek at the wedding of Nicole and Joel. 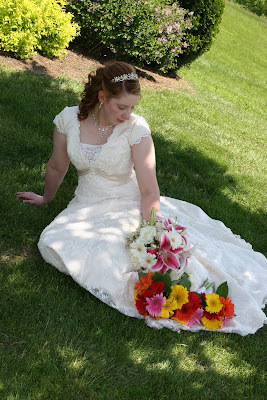 They had a perfect day in May for their vows. 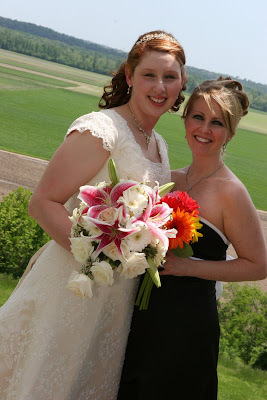 Nicole chose a cascade bouquet for herself. 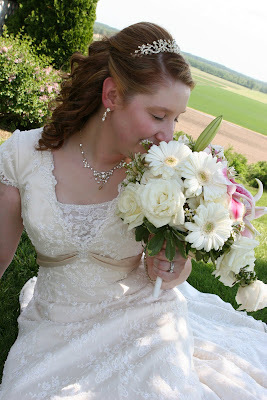 It included pink stargazer lilies, ivory roses, white gerber daisies, and waxflower filler. 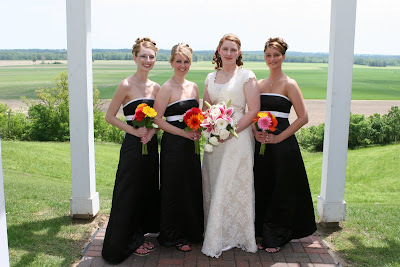 The bridesmaids carried mixed brightly colored gerber daisies in a round, hand-tied bouquet. All our best to the bride and groom! It was a pleasure working with you!